Qatar Bowling Federation - Welcome to our official website! 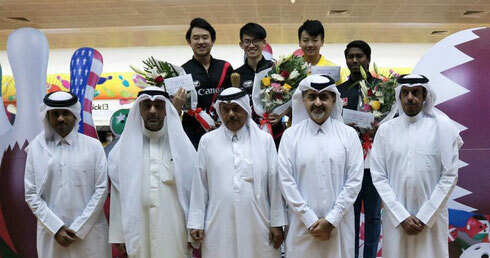 8th March, Doha: 2018 World Championships Trios gold medallist and second-seed, Wu Siu Hong of Hong Kong captured the PBA-WBT H.H. 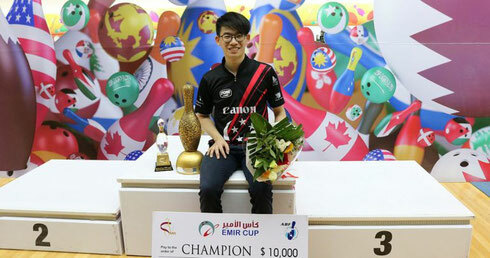 Emir Cup 2019 with victory over topseed, Ryan Lalisang of Indonesia in the championship match. Challenger and winner of Step 4 finals, Wu took a 31-pin lead over Lalisang, 204-173 in the first match. In the second match, both started off with two consecutive strikes, a spare in the second frame and another strike each in the fourth frame. Wu failed to spare his fifth frame giving the Indonesian a slight lead but the Hong Kong national recovered with five consecutive strikes to put the tie beyond his opponent. Although Lalisang responded by striking home from frame eighth to win the second match, 236-234, Wu clinched the title with a two-game total of 438-409. "I had a modest start in the Step 2 finals but when I had a few big games, I knew I had a chance to make the knockout finals. In the match against Keith Saw in Step 4, I was confident I could beat him when I saw he was struggling to repeat the form he showed in Step 3 finals. "Again in the championship match against Lalisang, I knew it would be a tough match as the Indonesian is a very good bowler but when he too struggled in the first match, I knew I could win. It's defiitely a good start to the year and I'm looking forward to do well for the rest of the year." The champion, who pocketed the top prize of US$20,000, had earlier brushed aside, Saw, 438-360 in Step 4 finals to face topseed, Lalisang. Saw defeated fourth-seed and compatriot, Muhd Jaris Goh, fifth-seed, Michael Mak of Hong Kong and Ghanim Aboujassoum of Qatar, 467-428-382-410 to advance to Step 4 finals. Lalisang picked up US$12,000 as first runner-up while Saw took home US$6,500 as second runner-up. Jaris Goh, Mak and Aboujassoum earned US$3,500 each for finishing fourth to sixth positions. 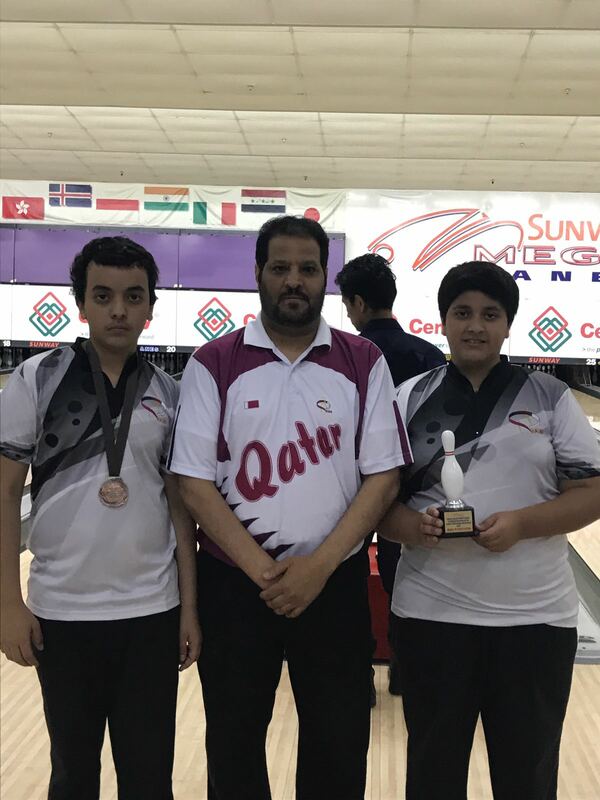 Qatar Bowling Team poses with Trophy as Overall Boys Winner of the World Youth Championship 2018. 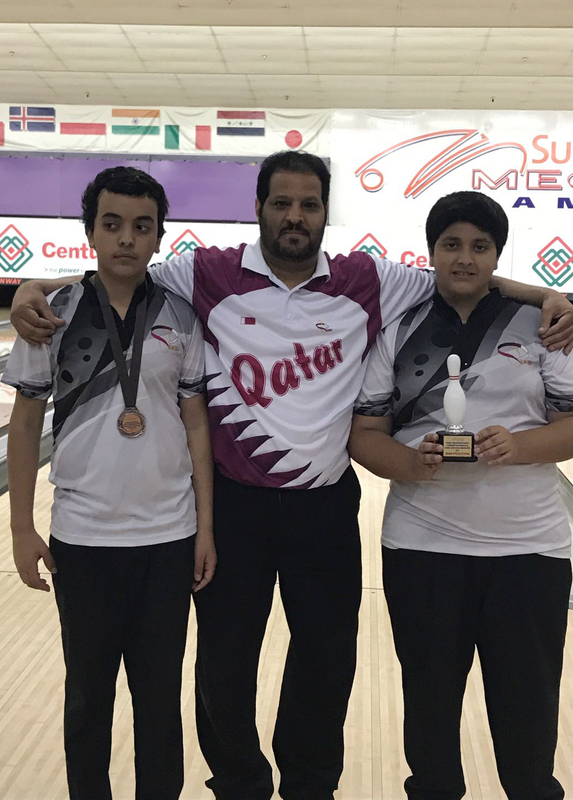 The Qatar Bowling Team bagged the Overall Winner for boys division at the World Youth Championship 2018 held in Detroit, USA. The team won 2 Golds in 2 different events - the All Event and Team Event. Congratulations for your victory! 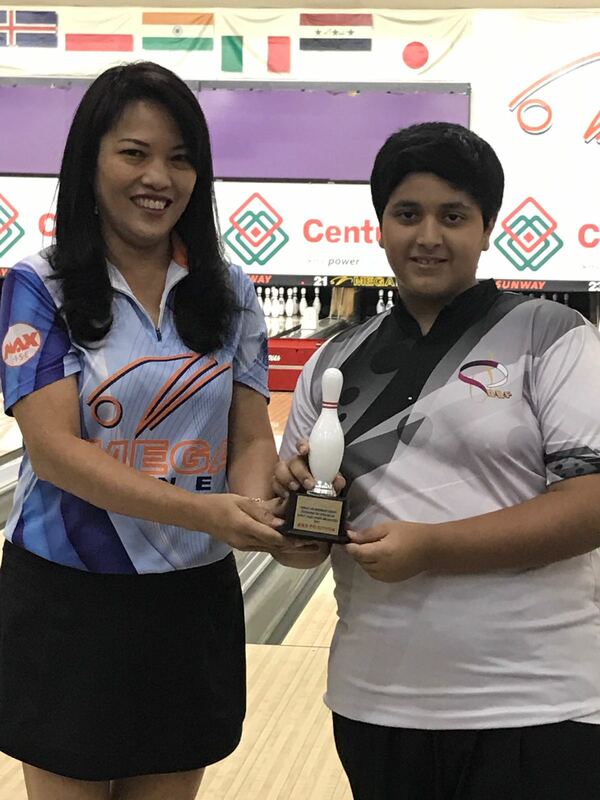 In an all-Singaporean affair Basil Dill Ng defeated his compatriot Muhd Jaris Goh, 387-374, over two games total pins to claim the title in the H.H. 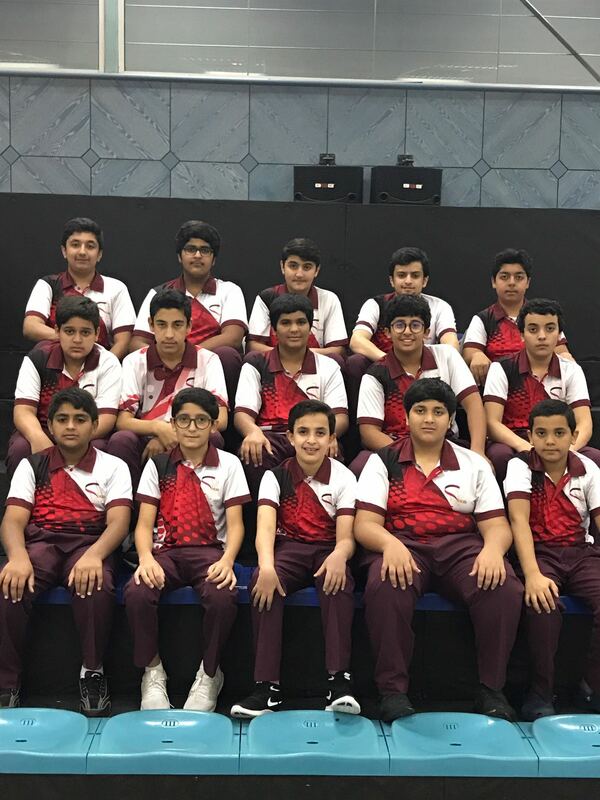 Emir Cup 2018 Monday, March 5, at the Qatar Bowling Center in Doha. In a low scoring title match Ng (right) was down by eight pins after the first game (196-204) but rebounded with a 191-170 win in game two to wrap up the title and the $10,000 top prize. The picture above shows the top 4 of the H.H. Emir Cup 2018 with the officials from the Qatar Bowling Federation. Back row from left: Muhd Jaris Goh, Basil Dill Ng, Ivan Tse and Suresh Elangovan. 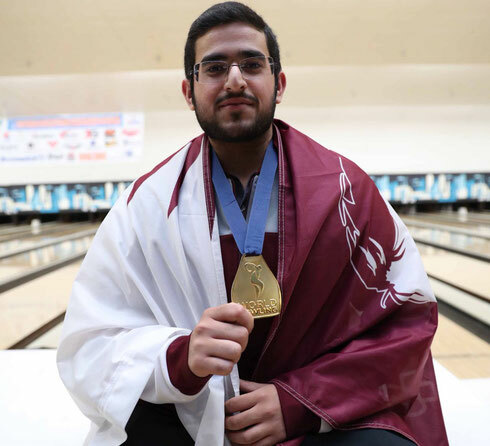 Photos courtesy of Qatar Bowling Federation. In the semi-final matches, Ng rolled games of 268 and 233 to sideline his fellow countryman Suresh Elangovan (right), 501-423, while Goh ousted Ivan Tse of Hong Kong by a whisker, 436-434. Goh pocketed $6,000 for second place while Elangovan and Tse earned $3,500 apiece for third and fourth place, respectively. The H.H. 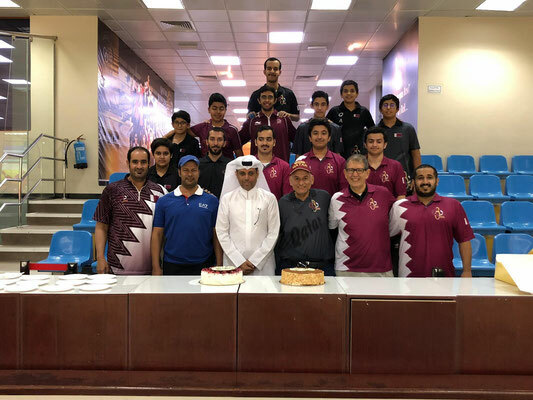 Emir Cup 2018, which drew 66 players from 12 countries, was the opening event of the 2018 Asian Bowling Federation (ABF) Tour season. 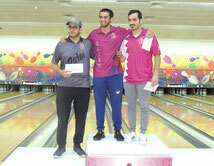 The ranking event was held from February Feb. 27 through March 5 at the Qatar Bowling Center, a 32-laner in Doha, Qatar. Players competed for total prize money of 61,400 U.S. Dollar. The tournament paid a $10,000 first prize, $6,000 for second place and $3,500 apiece for third and fourth place. 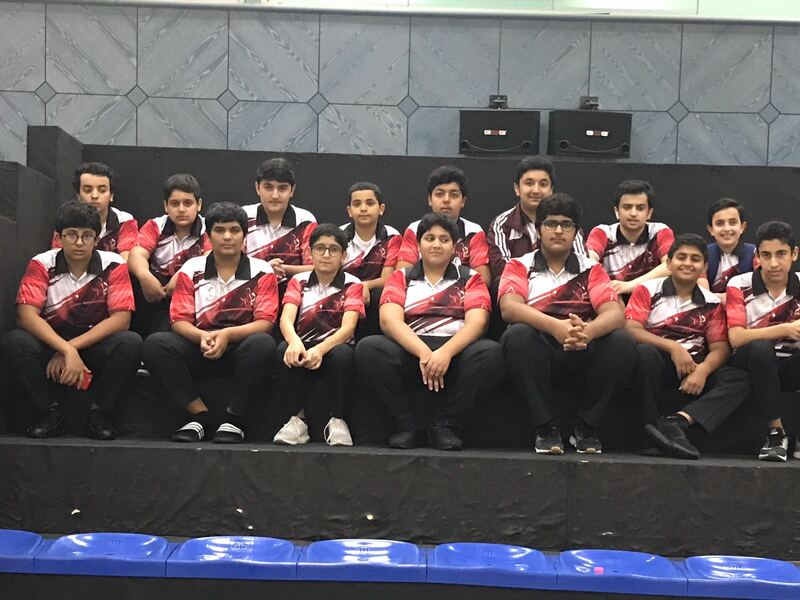 The top 16 Asian men will be awarded Asian Bowling Federation (ABF) Tour ranking points (no extra finals played). Qualifying (eight games, including the two highest four-game series; unlimited re-entries) ran over six days featuring 10 squads. 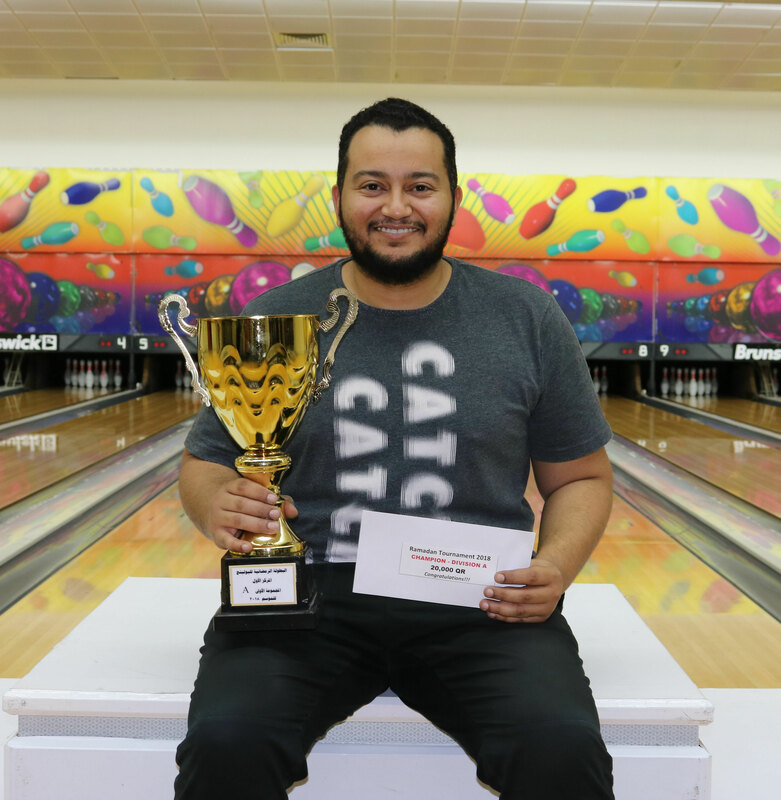 Total 32 players advanced to the finals on Monday, March 5, including the top 8 local and overseas bowlers plus another 16 players from the mixed pool. Those 32 were split into four groups of eight players, who bowled seven games of round robin match play. The winner of each match received 3 points while loser got zero points. Each tie was broken in a one-ball roll-off. The top 4 of each group advanced to single-elimination finals in bracket system. Click here to see the results for All Events. 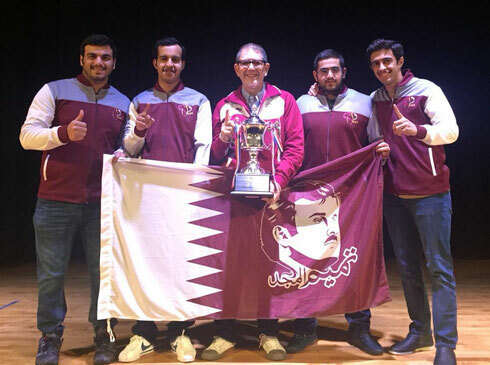 Kids Qatar National Team bags award in a tournament held in Malaysia. 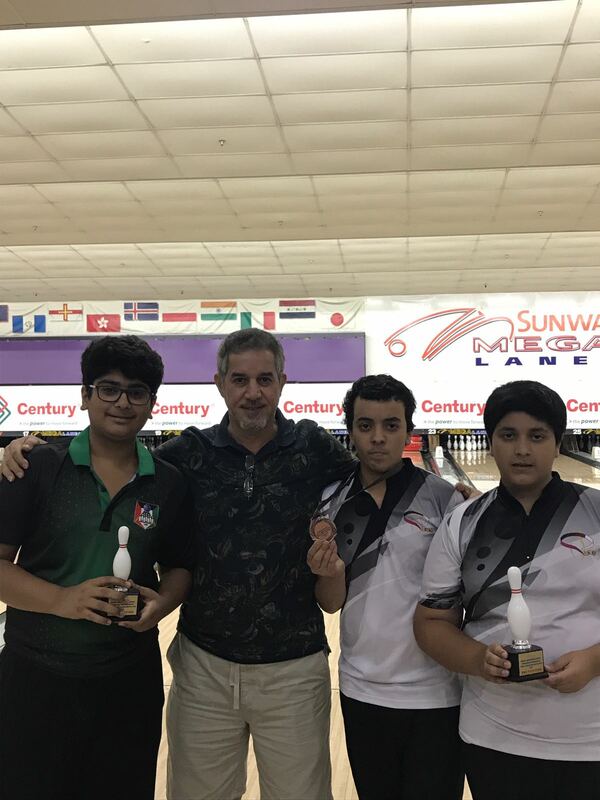 Jassim Al-Muraikhi and Mohammad Ismail are 2017 Ramadan Tournament Champions. 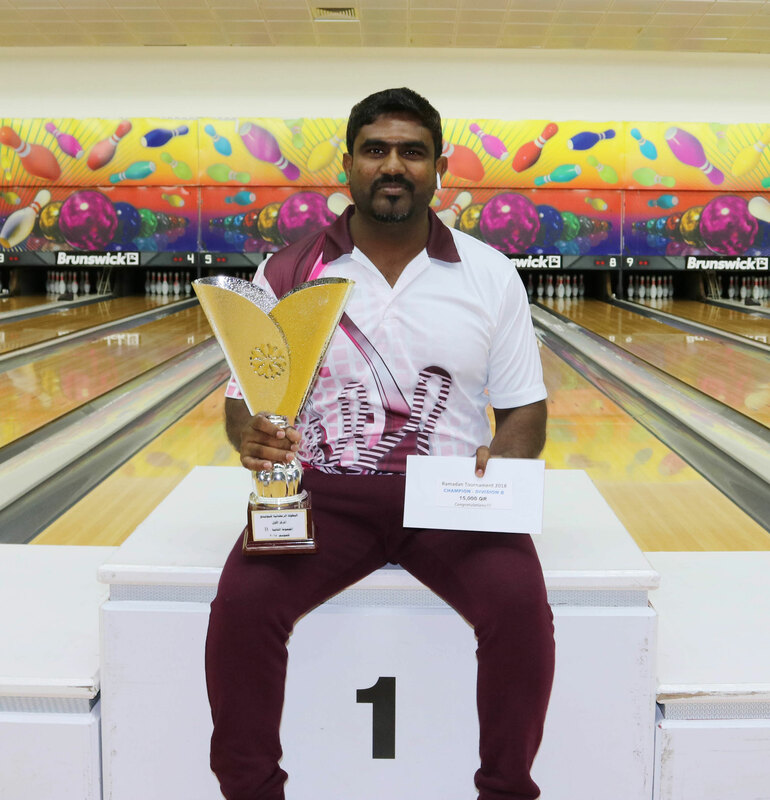 Doha, 15-June-17: Qatari, Mohammad Ismail bagged the title Ramadan Tournament 2017 in the final match of Division B. Ismail gained top position in the top 16 table with his 3245 eight-game series. During semi-finals, Ismail faced his compatriot Abdulla Hassan in a 2-game knock-out match. Ismail advances to the finals 446-336. 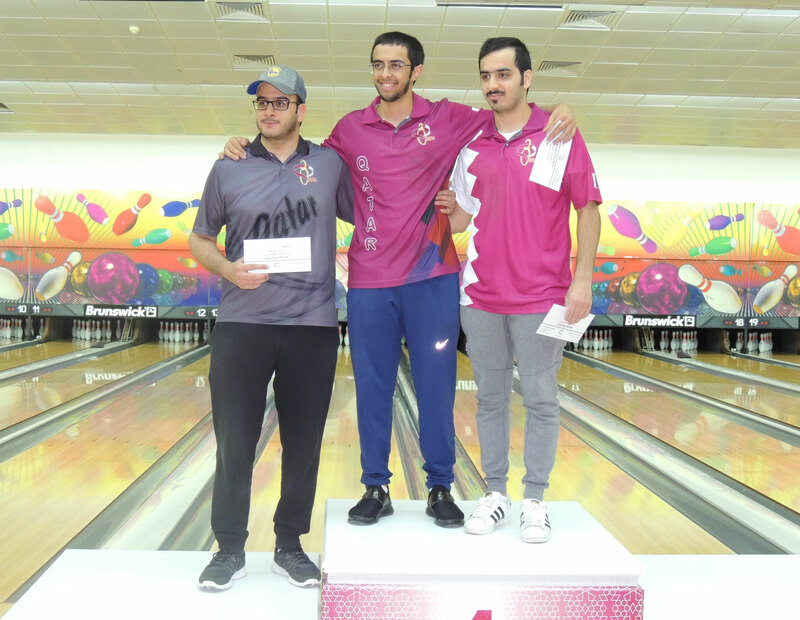 During the Finals, Ismail faced his compatriot Saoud Al-Qayed who gained advance to the Finals after defeating Khalil Al-Muazzin in a 395-364. Khalil faced Abdulla in the finals playing positions 3rd and 4th. 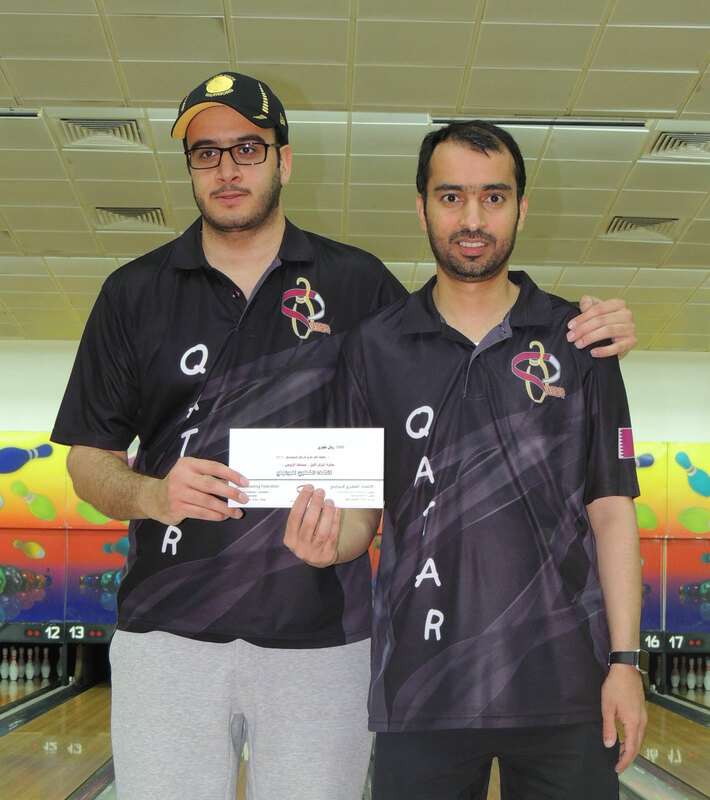 During the finals, Khalil rolled 419 in a 2 games series against 357 of Abdulla. Khalil ended 3rd place while Abdulla done as 4th . The Emir Cup 2017: Champion - Jassim Al-Muraikhi of Qatar, Francois Louw (South Africa) - 2nd Place, Siti Safiyah (Malaysia) - 3rd Place, and Ng Lin Zhi Shayna (Singapore) - 4th Place. The H.H. 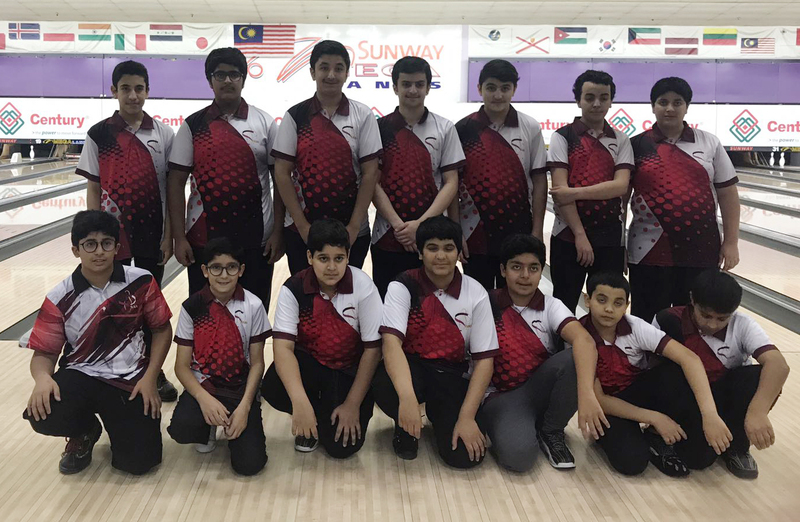 Emir Cup 2017, the opening event of the 2017 Asian Bowling Federation (ABF) Tour season, was held from February Feb. 27 through March 5 at the Qatar Bowling Center, a 32-lanes in Doha, Qatar. Players competed for total prize money of 58,200 U.S. Dollar, $43,800 less than last year’s prize fund of $102,000. The Emir Cup paid a $10,000 first prize, $6,000 for second place and $3,500 apiece for third and fourth place. 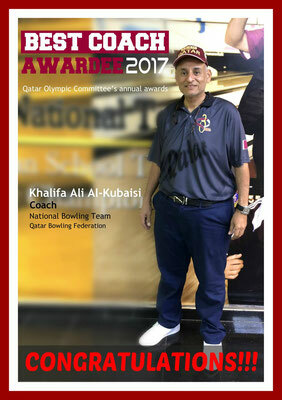 Opposite to the previous years, the Emir Cup did not award a World Bowling Tour or Professional Bowlers Association title. 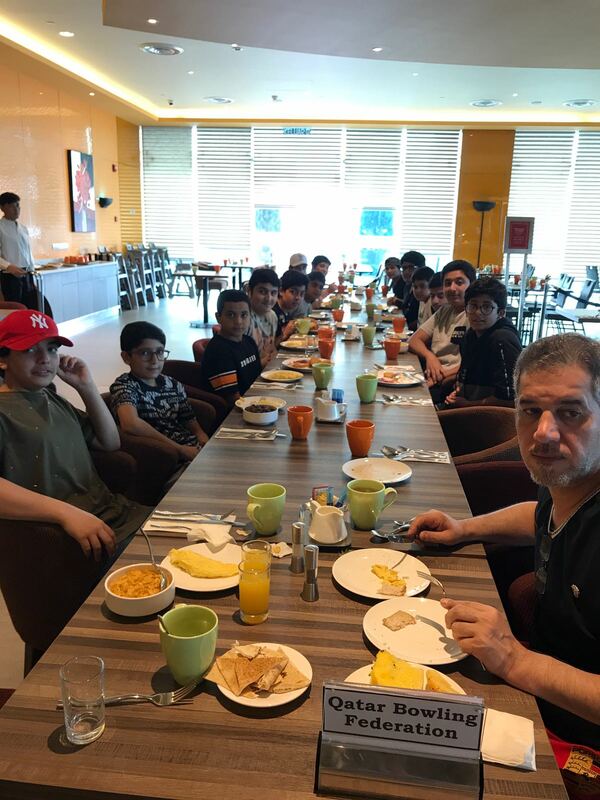 However, the top 16 Asian men will be awarded Asian Bowling Federation (ABF) Tour ranking points (no extra finals to be played). Qualifying (eight games, including the two highest four-game series; unlimited re-entries) ran over six days including 10 squads featuring four games each. Women received eight pins handicap each game. 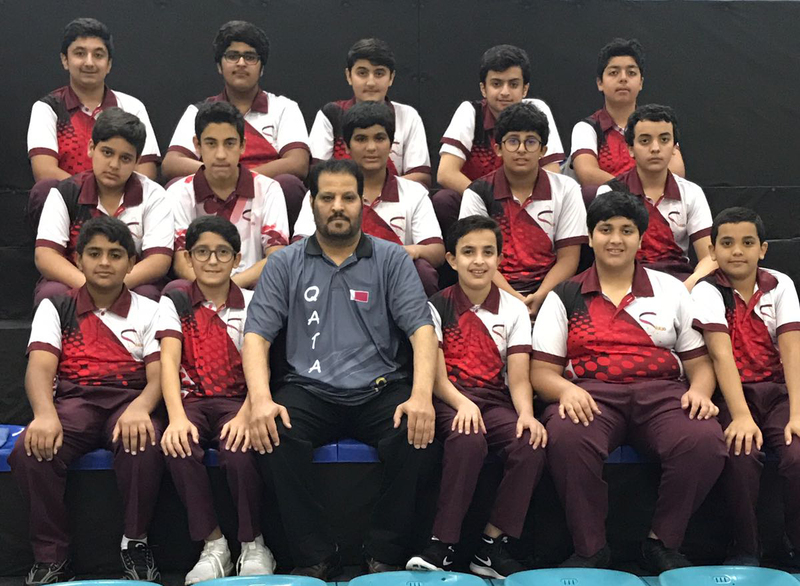 Total 32 players advanced to the finals on Sunday, March 5, including the top 16 players with the highest 8-game totals plus the next eight foreign bowlers and the next eight local bowlers. In bracket play, matches consisted of two games with the highest pinfall advancing. The field was trimmed to eight, four and then two players, who bowled for the title. Diana Zavjalova of Latvia became the 31st woman in the history of the European Bowling Tour and the third in the 2016 season to win an EBT title when she defeated Pontus Andersson of Sweden in the title match over two games total pins, 474-427. The 2013 USBC Queens champion, who received eight pins women’s handicap, a standard for women on the European Bowling Tour, won both matches on her way to the title scratch. Zavjalova earned the $40,000 top prize in the richest tournament on the EBT along with her first EBT and World Bowling Tour title. In the semi-final match, also with the two-game total determining the winner, Zavjalova who finished the second round of the finals in fourth place to take last spot for the playoffs, faced the No. 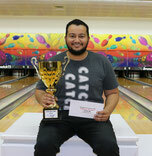 1 seed, three-time defending PBA Player of the Year Jason Belmonte of Australia, who owns 12 PBA titles, including six majors, and one EBT title. Trailing the two-hander from down under by eight pins after the first game, Zavjalova rebounded with a 247-213 win for a 468-442 victory. Andersson, the no. 2 seed, met third-seeded Ahmad Muaz of Malaysia in the other semi-final match. 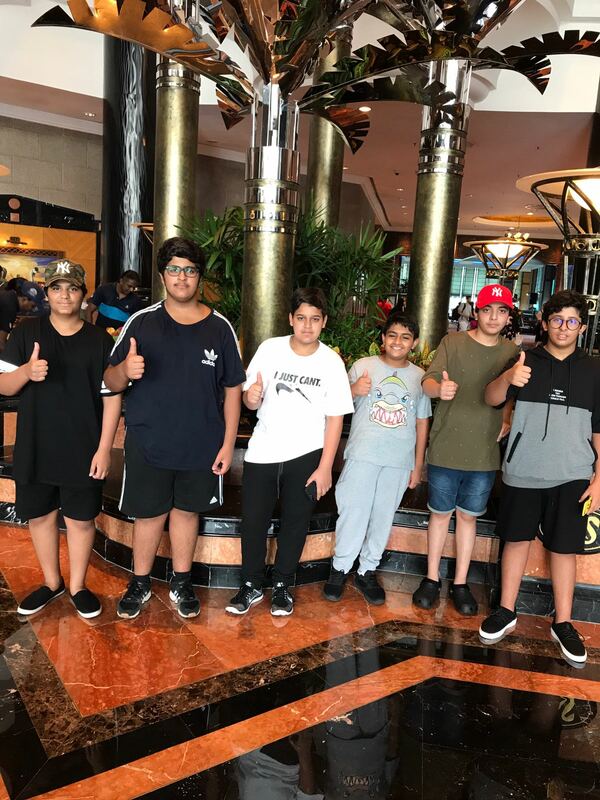 Muaz, who made the cut to the finals in the ultimate one-game Desperado Squad, fell in a 275-223 hole and though he won the second game, 246-217, it was too much to catch Andersson who advanced, 492-469. Andersson took home $20,000 for second place, while Belmonte and Muaz received 7,000 apiece for third and fourth place.